Do you have questions concerning our products and services? Need a contact in your area? No problem - We deliver world wide. IMES is a privately owned company founded by Stefan Neumann in 1996. It based in the town of Kaufbeuren, in the picturesque Allgäu region of Bavaria, Southern Germany. IMES specializes in electronic measurement, monitoring and testing of cylinder pressure on engines and compressors, based on its high precision TION thin film pressure sensors. IMES counts all the world’s major engine manufacturers among its customer base and IMES sensors, electronic pressure indicators and combustion monitoring systems are employed on a wide range of diesel, gas and dual-fuel engines, on ships and locomotives and in power and cogeneration plants and pipeline compressor stations all around the world. 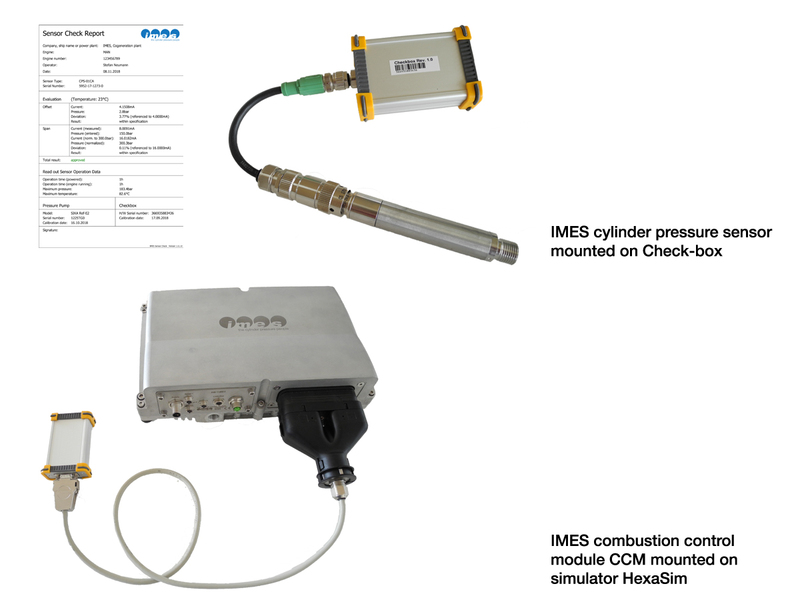 IMES launches two new products; the IMES Sensor Check-box which is an ideal tool to check all types of IMES cylinder pressure sensors and HexaSim for CCM, a handy simulator for training purposes on CCM. The new sensor Check-box is an interface device for sensor data evaluation and the successor of our well-known Bif-box.